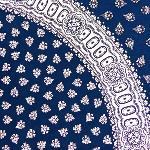 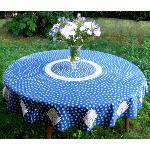 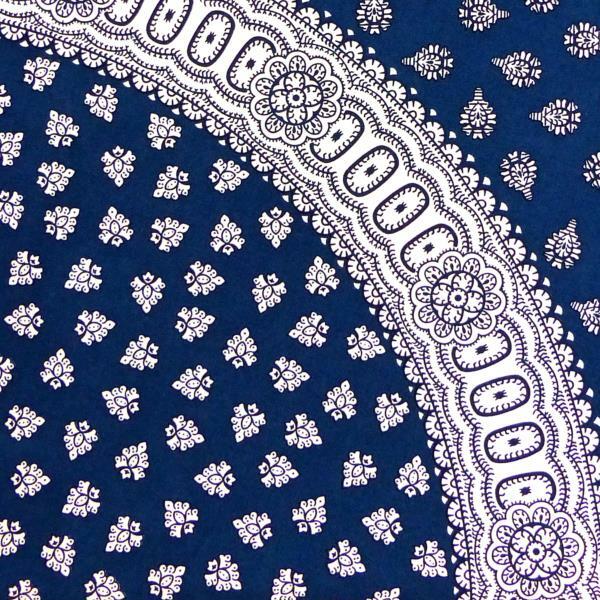 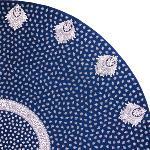 Blue Round cotton Tablecloth "Indianaire" made of 100% cotton percale. 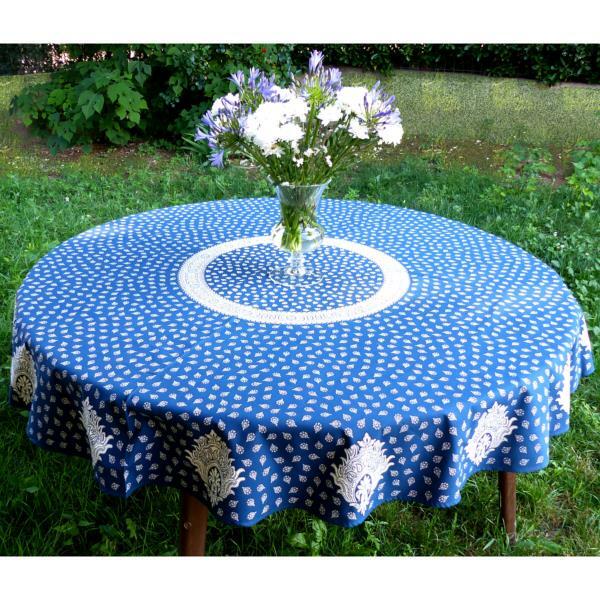 "Indianaire" is a vintage collection of the traditional Provencal Round Cotton Tablecloths made by "Les Olivades”, one of the most prestigious manufacturer of French country fabrics and home accessories. 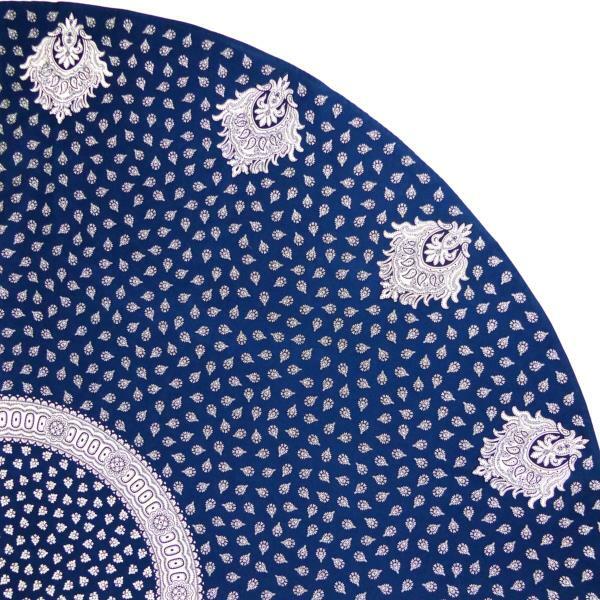 Les Olivades uses only high quality cotton and the traditional textile printing techniques to produce the authentic "Indienne” fabrics and linen. 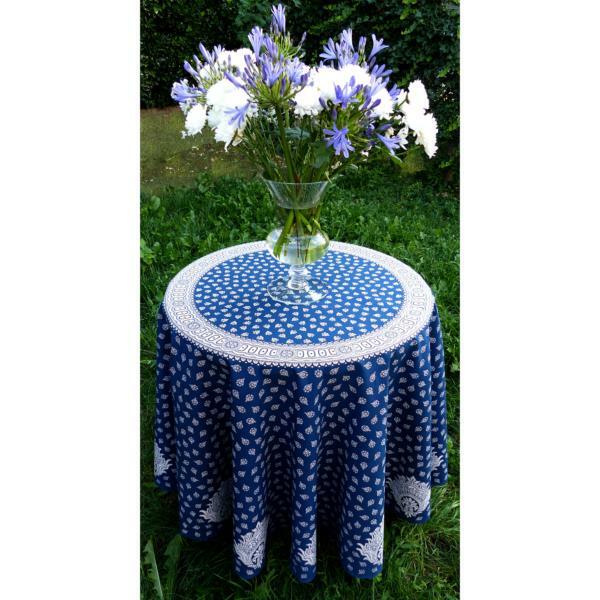 This stunning Blue Round cotton Tablecloth "Indianaire" is made of 100% cotton percale and treated with a stain protection making it extremely long lasting and easy to care. 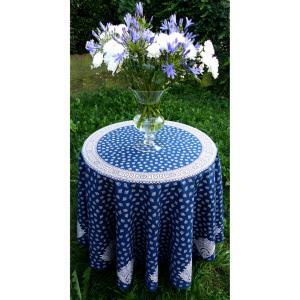 Enjoy the beautiful printed design and bring an elegant French touch and the warm colours of Provence into your home!